Electronic Health Records software (also known as Electronic Medical Records) is a web-based software that can drastically improve the quality of patient care in any type of medical facility. This is achieved by using specially designed templates, automatic checks, and integration with practice management software so that providers can focus more on their patients and less on paperwork. While many features of Electronic Health Records (EHR) are geared directly toward bettering the workflow of medical practitioners and front office staff, which does indirectly benefit patients, there are also many elements of EHRs that address patient needs more in a more personalized way. In the start of 2018, approximately 90% of US office-based physicians started using EHRs. With e-Prescribing, sending a prescription is quick, easy, and can be done anytime or anywhere. This means your patients can fulfill (or refill) and begin their course of medication immediately. Checks for drug interactions or allergies are done automatically so you and your patients never need to worry. Plus, with integrated prescription discounts, EHR software can help your patient get a good deal at their local pharmacies. Considering that cost affects how likely a patient is to fill their prescription, you can understand why this feature is an important one. Keeping up communication between provider and patient is required in order to ensure good patient care and follow-up care, which is why it’s so effortless to receive and reply to patient messages right from the EHR dashboard. In addition, communication between staff members about a patient is just as simple. It’s imperative that patient medical and communication records are kept secure and confidential at all times. Find an EHR that meets the highest standards for maintaining data confidentiality and secure sharing of information. Your patients should never have to worry about a breach of trust. Having all of this 24/7 right at their fingertips empowers patients and goes a long way in raising their quality of care. It can be very taxing for your billing specialists to handle all the complicated details that go into coding and charging insurance providers and patients. However, taking phone calls from stressed patients who have questions or concerns over their bills can be even more difficult. Electronic Health Records do not only benefit patients. 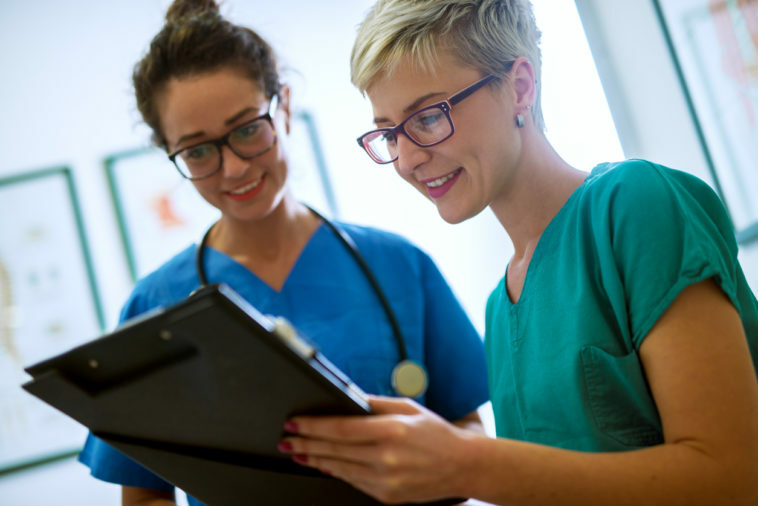 With robust features designed for (and by) health providers, EHRs can greatly benefit everyone in your practice from physicians to the front desk. Is it time for your practice to make the switch?